Marseille, France, April 5, 2018 — Genoscience Pharma announces today the first administration of GNS561 in a Phase 1/2a clinical study in advanced hepatocellular carcinoma. This is the first clinical trial investigating this drug candidate, stemming from Genoscience Pharma research. 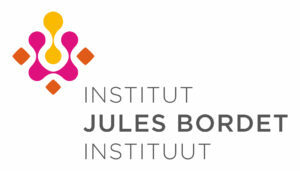 This clinical research in liver cancer is led by Professor Ahmad Awada, Head of Medical Oncology and principal investigator at the Jules Bordet Cancer Institute in Brussels, Belgium. This international phase 1/2a study performed in Europe and the USA will evaluate safety, activity and the pharmacokinetics and pharmacodynamics of escalating doses of GNS561. Up to 36 patients will be enrolled in six cohorts during the dose escalation phase. Additional patients will be enrolled in the continuation phase to obtain a total of 20 evaluable subjects at the recommended dose. “This clinical program represents a paradigm shift for our company; it will provide a wealth of valuable additional knowledge and data to drive our platform of metal transporter modulators towards various clinical applications for cancer therapy,” said Professor Philippe Halfon, president and CEO of Genoscience Pharma. “Since being granted a rapid approval from regulatory authorities and institutional review boards, we have initiated the first-in-class GNS561 studies. The enrollment and treatment of the first patient represents a major milestone for Genoscience Pharma,” said Professor Eric Raymond, chief medical officer. “We are excited to be enrolling our first patient with GNS561. We are hopeful that this novel anticancer drug will prove to be a significant and effective weapon against liver cancer,” said Pr. Ahmad Awada, principal investigator. The study is run as an international clinical trial conducted in Europe and the USA. Professor Ghassan Abou Alfa at Memorial Sloan Kettering in New York is co-principal investigator. His work focuses on preclinical and early-stage testing to optimize the development of stem cell-targeted cancer drugs.